Let this site be your guide for things to do and places to go, in and around the 509. Whether you live in Eastern Washington or just visiting, 509 is more than just an area code. It’s a way of life. You'll adjust quickly to the lack of traffic and instead make time to enjoy the great outdoors. And finally there’s the wine. 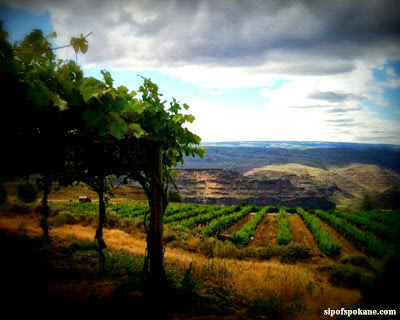 Eastern Washington is the second largest producer of wine in the country and home to 5 of the State appellations: Yakima Valley, Columbia Valley, Walla Walla Valley, Red Mountain and Chelan. From the Yakima Valley all the way to Spokane, grape vineyards cover the landscape where apple orchards used to thrive. From these vineyards that some of the finest wines in the world have emerged. Spokane is becoming a destination for wine. Come taste why.